GamerLink supports Destiny 2 and over 150 other titles across all major platforms! Simple UI and intuitive features makes it easy to connect with Gamers! Fast customer support from a small, dedicated team! GamerLink’s proprietary Destiny LFG system is #1 with a 4.7/5 star rating! GamerLink is the Ultimate Destiny 2 LFG Solution. It gives control back to the players by allowing them to choose exactly who they raid and PVP with. 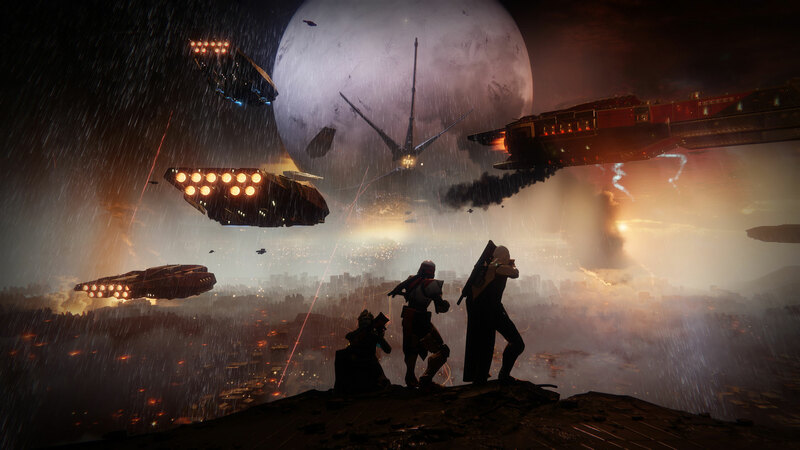 Whether it’s a Prestige Mode run on the Leviathan Raid, or a casual round in the Crucible, GamerLink can help you find the perfect Fireteam for Destiny 2. GamerLink is all about connecting gamers on more than just skill, find the players whose play styles and communication styles match your own! If you’re in need of Destiny 2 LFG, look no further than GamerLink, with over 200 supported titles across every major platform, it doesn’t matter what games you play, or what you play it on, GamerLink makes it easy to find squadmates. Join our growing community and start connecting with Destiny 2 players today! This free app on Android and iOS changes the game when it comes to Looking for Group, and makes Destiny 2 LFG a breeze! Email us any concerns, questions, comments or bug reports or any general feedback on how we can make your experience on GamerLink even better!